The Phyllis Gebauer Scholarship in Writing and the Claire Carmichael Scholarship in Novel Writing provide access and opportunities for promising writers to study their craft in a supportive educational environment. Click to expand for more details below. 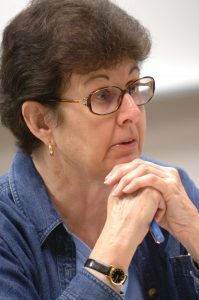 Phyllis Gebauer, a beloved Writers’ Program instructor who taught for the Writers’ Program since 1994, was passionate about providing learning opportunities for those who lack access. When she passed away in 2011, she left the Writers’ Program a generous gift with which to fund this needs-based scholarship program. The Phyllis Gebauer Scholarship in Writing* seeks to acknowledge and foster the talent of promising writers from diverse backgrounds and cultures who might otherwise not have the opportunity to study their craft in a supportive educational environment. Up to six scholars are named annually, and each of the recipients is given the opportunity to enroll in three full-length Writers’ Program courses during a one-year period (the Writers Studio, mentorships, master classes, and 20-week courses are excluded). Courses may be taken either onsite or online but cannot be deferred for any reason. A gross income not to exceed $2500 a month per individual. For households with more than one individual, add 10% for each additional person. You are required to submit a copy of the 2018-19 Student Aid Report (SAR) Free Application for Federal Student Aid (FAFSA) with your application (www.fafsa.ed.gov). It can take anywhere from 3 days to 2 weeks to get your SAR, so fill out your 2018-19 FAFSA early. SARs will not be accepted after the deadline. The SAR is not the same as the FAFSA summary page you receive immediately after submitting your FAFSA application. For questions about the Phyllis Gebauer Scholarship in Writing, contact Carla Janas at (310) 825-9415 or cjanas@uclaextension.edu. Please note: The Claire Carmichael Scholarship in Novel Writing is on hiatus until further notice. 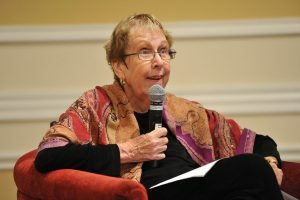 This scholarship is named for Claire Carmichael, a UCLA Extension Distinguished Instructor who has taught more than 90 courses and mentorships for the Writers’ Program since 1994, and who has helped numerous students get their work published. Ms. Carmichael created this scholarship to acknowledge promising novelists and to provide an opportunity for them to study their craft and work on their novels-in-progress in a supportive educational environment. Up to 6 scholars are named based on the strength of their writing, and each scholar selects 3 full-length Writers’ Program courses to be taken during a 1-year period. At the close of the year-long program, the 6 scholars are given the opportunity to submit their best 75-100 pages for judging. Ms. Carmichael and two additional judges will select one manuscript from the entries, based on the quality of the writing and its potential for completion and ultimate publication. The winner receives a two-month, one-on-one mentorship* with Lynn Hightower, a Writers’ Program instructor who has mentored more than 100 Writers’ Program students since 2012. The winner will also be featured in an article on the Writers’ Program website, along with an excerpt of his or her novel-in-progress. Ms. Carmichael will stay closely connected to the project as a consultant. Applicants must have completed at least one course in novel writing or at least one session of the Mentorship Program in the Writers’ Program within 18 months of the submission due date, and have at least 10 pages of a novel-in-progress (young adult, genre, and literary fiction is included), in order to be eligible. *The two mentorships are valued at $2,590. Mentorships do not have to be taken in two consecutive months but they must be completed in the same calendar year in which they are awarded. Click here for a list of former recipients of the competition. For questions about the Claire Carmichael Scholarship in Novel Writing, contact the Writers’ Program at (310) 825-9415 or writers@uclaextension.edu.